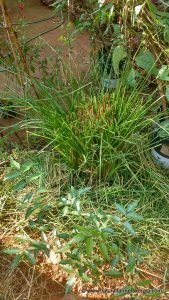 Vetiver should be among one of the essential plants grown in your surrounding area and also in your farms. 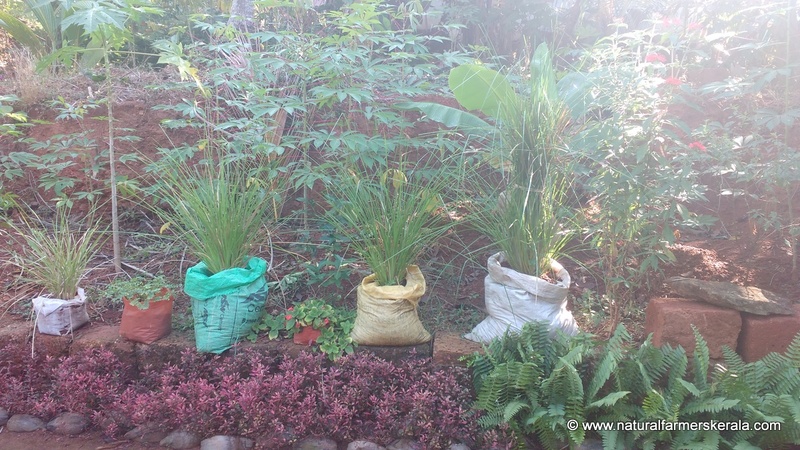 There are a few varieties of vetiver available throughout India. The south Indian varieties are generally considered superior because it has more aromatic oil in its roots. Farmers or consumers only need its roots for consumption and other utilities. 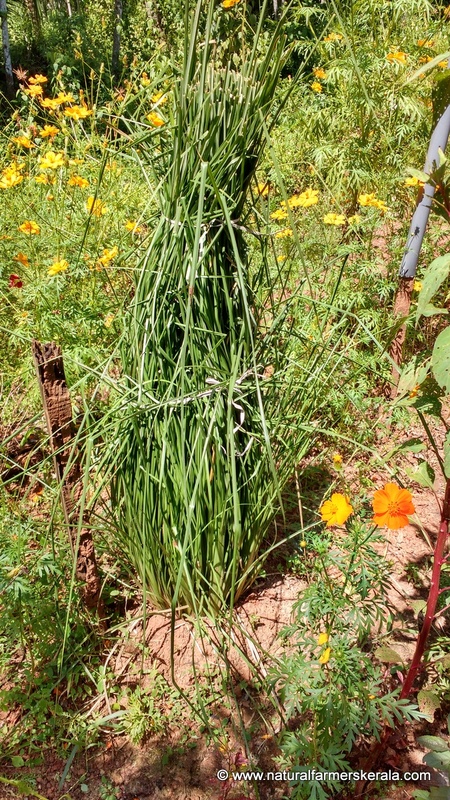 It grows upto 3 to 4 feet tall and can be cut and used as mulch or be allowed to grow further with the purpose of living mulch depending on your requirement. 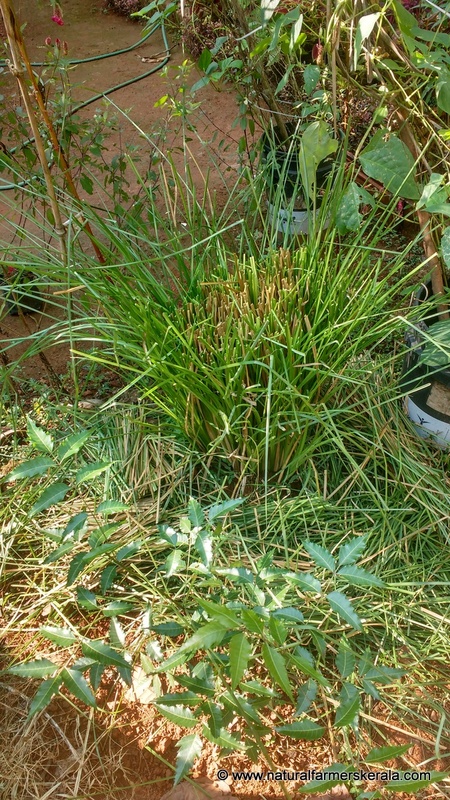 Vetiver has strong, healthy and aggressively growing root system. As per modern research aromatic oil is produced in the roots with the help of certain types of bacteria which feeds on specific materials present on the roots of vetiver. 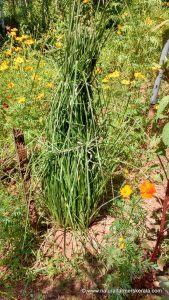 Ramacham is one of the rare plants which go deep into the soil close to 3 meters in the soil. It takes close to 1.5 years for the old roots to start decaying once harvested; however the same clump produces new growth with every new season. At this depth it is very difficult to till and add biomass. So the roots add biomass deep inside the soil once decayed. Another wonderful benefit of this root is that just like coconut husk or coir pit it absorbs and retains water for few days. Your farm will be like one big coir pit under the surface. This is also one of the reasons in the wild because of various tree roots water is retained in the top layer. Along with other crops ground water will also be recharged. The aromatic oil within the roots is an effective pest deterrent. Many types of nematodes, termites will also be repelled to a great extent. It is essential to grow vetiver as inter crop along with vegetables and fruit orchard. There has been documented improvement in the yield and health of crops. The roots will also fetch a handsome amount from the market when harvested. It is very essential that vetiver roots are extracted between 15 to 20 months from the date of planting for oil extraction. If you plan to buy vetiver roots from the market chances are very high; vetiver oils will be removed with steam process. Handicraft and small scale industries thrive on the root after oil extraction. For ayurvedic medicinal use and general consumption good quality fresh vetiver root has to be used prior to oil extraction process. Stay tuned for more updates on vetiver as and when I learn more.